Facilitating and compliance with fire and rescue department. If you feel you are the right match for above-mentioned position, please apply to HRD, BRAC Tanzania Finance Limited, Plot #2329, Block-H, Mbezi Beach, and P.O. 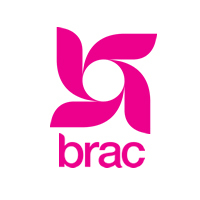 Box 105213, Dar es Salaam or through email to recruitment.tanzania@brac.net with a subject “ADMINISTRATION AND PR MANAGER”. Application deadline is 09.02.2019, (up to 12pm). Only shortlisted candidates will be contacted.